Paulo Alexandre Sampaio is a member of the research team at OES participating on the ‘first global assessment on the current state of organizational excellence’ that was launched by the OETC and has been supported by the GBN, ISO/TC 176 and International Academy for Quality. He is a Professor of Quality and Organizational Excellence in the Department of Production and Systems at the University of Minho, Portugal. He graduated in Industrial Engineering (2002) and earned a PhD (2008). Today, Paulo is a Researcher with the ALGORITMI Research Centre and Vice-Dean of the School of Engineering at the University of Minho and a visiting Scholar at the Massachusetts Institute of Technology in the United States. Very accomplished in the excellence field, Paulo is involved with ASQ (Country Counselor for Portugal, Research Group on Quality and Organizational Excellence, Influential Voices Group, Feigenbaum Medal Committee, Global Advisory Committee), the Portuguese Institute for Quality (Technical Committee 80 on Quality Management and Quality Assurance, Certification Forum), the University of Minho (Board of the Quality Management and Engineering Master Program, School of Engineering Council), the International Academy for Quality (Associate Member) and the Quality for Excellence Consultancy Company (Founder Partner). He is a speaker in international conferences, an author of several publications and a coordinator of several research projects. 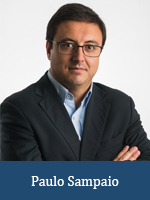 Paulo has been recognized for his outstanding work with awards from ASQ, the Portuguese Association for Quality and the European Quality Congress.